Now here's a real gem ! Some rare footage of the Elvin Jones trio in Japan from the late 1960s !!! This one's for my friend, Regina bassist and visionary Carlo Petrovitch. Dig how he's playing sans tom or floor tom and NO hihat and it's swingin' like mad....of course it is! Thank you to everyone has been emailing me from around the world lately regarding my blog. Your support is very much appreciated. If you'll notice, I installed a blog counter on the side of the page. I am flattered that over ten thousand people have visited my site since it's inception during the spring of 2009. And yes, I will try to post more drum lessons on a consistent basis as well. These things take time ya' dig ? RUSH was a hugely influential band for me when I was in junior high school. They were really the first band that I really got into while searching for my adolescent musical identity. In particular their album "Exit Stage Left" convinced me that Neil Peart was a drumming GOD and his epic drum solo on YYZ was really something else, unlike anything I'd ever heard before (I had yet to get into Jazz music by that point). 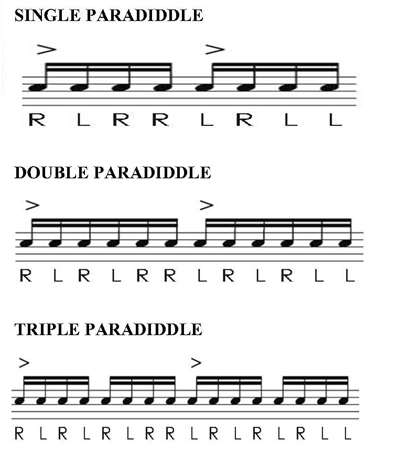 Years later I was shocked to learn that Peart composed everyone of his drum solos note for note and would play them exactly the same from night to night. That's an impressive feat in itself ! - Just another quick note: look out for a few special guest posts in the weeks to come. Several high profile Jazz drummers have graciously offered to contribute their ideas to Four on the Floor. 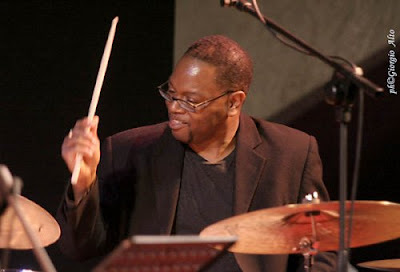 I first met drummer Johnathan Blake in Toronto a few years ago. 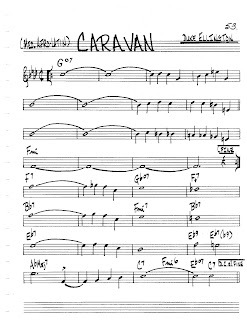 I was studying composition with saxophonist Tim Ries at the time at the University of Toronto and when Tim couldn't make his teaching commitments he would often send a sub from New York to teach for him. I was lucky enough to spend some time with Johnathan Blake during one of Tim's absence's. 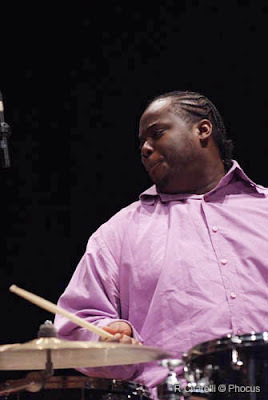 Johnathan is a very fine drummer who's been playing with the likes of Kenny Barron, Russell Malone, the Mingus Big Band, Omer Avital and Tom Harrell lately. 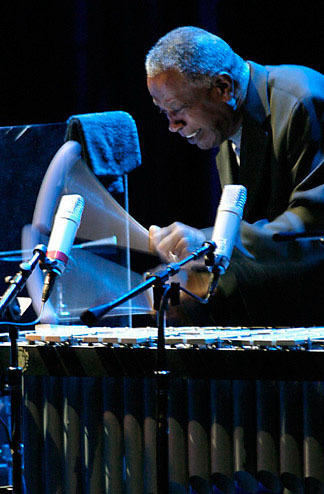 When you see him play the first thing you'll notice is how extremely low and flat he sets up his cymbals. I experimented with that myself a long time ago in Montreal. Bassist Sage Reynolds used to refer to this setup as "Jon's Buffet" (!) I've since move them up again with the cymbals angled again however this setup works well for Johnathan. He is a very accomplished musician and I expect we'll hear more of this great drummer in the future. Can you tell that he's my favorite ? 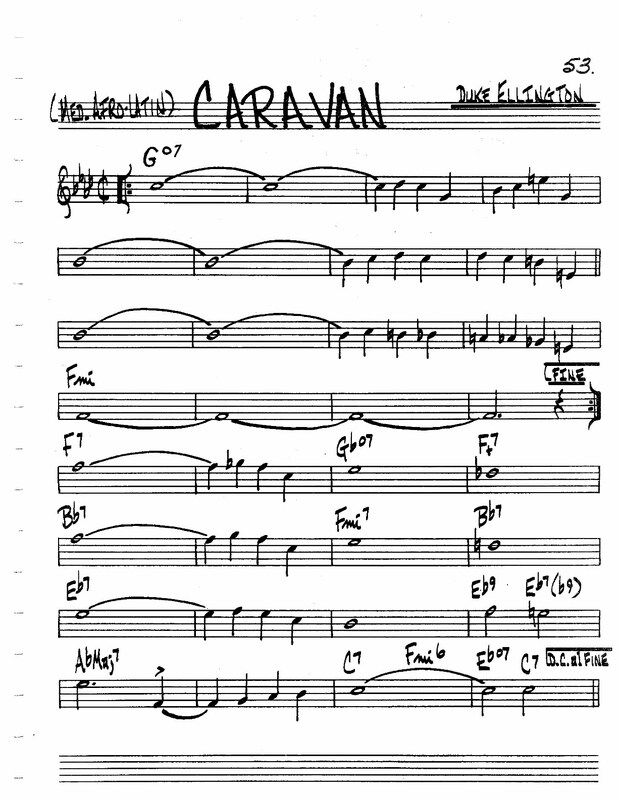 My favorite Tiny Kahn album would have to be "Stan Getz at Storyville". 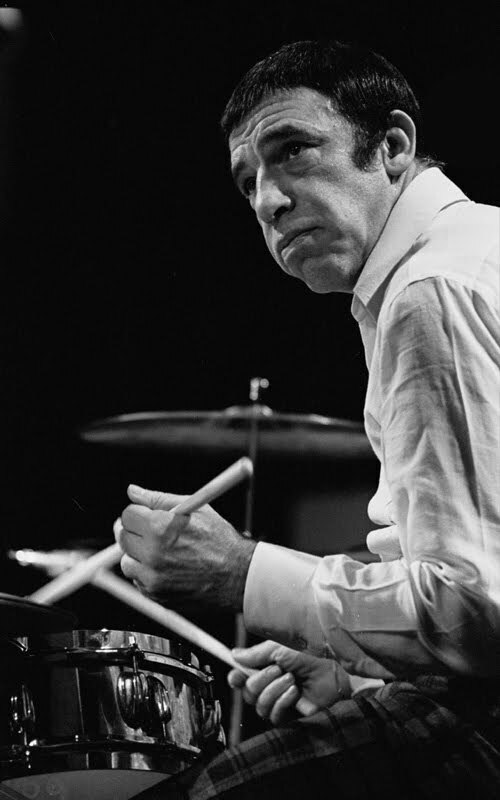 Check out Kahn's ride cymbal variations on those fast numbers. Some of that ride cymbal playing predates Tony Williams by like ten years ! It's playing like this that inspires me to add more drums and many cymbals to my set-up ! I can't say that I've personally had much experience playing electronic drum sets, however I'm impressed that Erskine teaches a very innovative drum set proficiency course at the University of Southern California that involves these instruments being used on a classroom level with large groups of students. I've long been an advocate of any sort of class or curriculum at the college and unversity level that deals with not only the teaching and study of rhythm but actual drum set pedagogy for non-drummers as well. With piano proficiency being standard fare in Jazz studies programs, I've long argued that some sort of drum set proficiency course be offered as well. There is a long list of accomplished Jazz instrumentalists that also play the drums (for example: Dave Liebman, Chick Corea, Joe Lovano, Don Thompson, Brad Turner, Kelly Jefferson, Peter Apfelbaum and Michael Brecker just to name a few...) and the development of at least a few basic Jazz drumming concepts and coordination goes a long way in helping non-drummers develop their sense of time and rhythm. A number of years ago I wrote a paper for my Jazz pedagogy seminar at McGill University during my Masters Degree that argued just that. However, the reality of how to implement the logistics of such a course was quickly pointed out to me by my advisor Kevin Dean. A classroom full of drum sets likely wouldn't work (unless you could afford a budget to accommodate a large sound proof lab with enough drum sets and an unlimited supply of earplugs!) I think that a classroom that used electronic drums (at the very least in a group situation) would be the ideal solution to teaching such a situation. I'm impressed that Erskine and USC have taken such an initiative to implement such a course. Who else is going to step up to the plate ? No bus tapes or crude anti-Rich jokes here !